Apple should finally begin paying $15.4 billion in back taxes into an escrow account in the first quarter of next year, Ireland's finance minister announced on Monday. "We have now reached agreement with Apple in relation to the principles and operation of the escrow fund," Paschal Donohoe told Reuters and other media outlets ahead of a meeting with European Competition Commissioner Margrethe Vestager. "We expect the money will begin to be transmitted into the account from Apple across the first quarter of next year." In 2016, the European Commission ruled that Ireland had for years extended preferential state aid to Apple, something illegal under E.U. law. The Irish government was originally asked to collect the money by January, but has taken so long that the Commission is now taking the country to court. The creation of an escrow account is likely a primary for the delay. Both Apple and Ireland are appealing the 2016 ruling, and have worked on setting up the account as a way of later returning the money. A point of concern for the Irish government was ensuring it wouldn't end up owing Apple large sums in interest. Apple has maintained that it obeys tax laws, while the Irish government has claimed that the benefits it offered were available to other companies as well. In 2003, however, the company was paying 1 percent in Irish taxes, and by 2014 that amount had dropped to 0.005 percent on billions in international revenues funneled through the country. 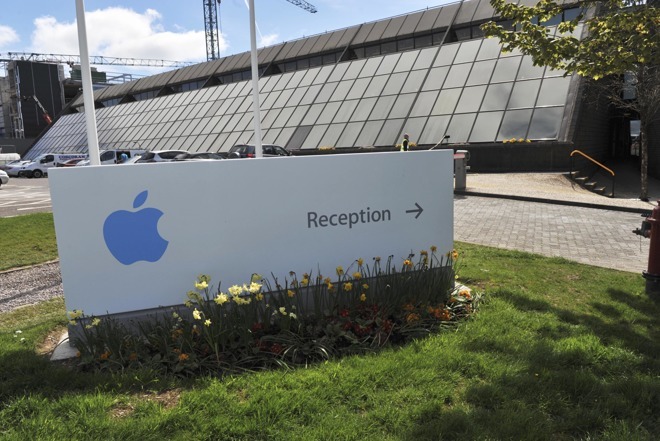 The Commission has accused Ireland of reverse engineering taxes on the fly to keep Apple happy.